In order to find wholesale real estate deals that have enough of a spread between acquisition price and improved value to make real estate wholesalers and house flippers a profit, requires not only hustle and hard work, but also finding effective strategies that reach distressed property owners. When most people think of advertising to find distressed properties at wholesale prices today, the only things we hear about these days is online advertising: creating lead generation funnels, Facebook marketing, SEO, and Craigslist. There used to be a time, before the Internet, when finding a distressed property required hitting the pavement, and smart dealmakers still use those classic strategies today. That’s why we compiled this list of ways to find off-market properties offline, in this first installment of our Epic List of 100+ Ways to Find Wholesale Real Estate Deals series. 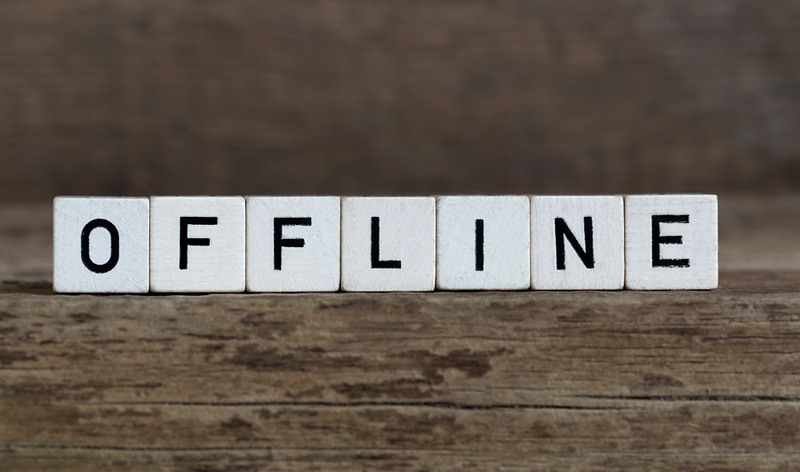 Today we’re talking offline. No internet? No problem! Let’s get started. Driving for Dollars is probably the most low-cost way to fill your wholesale real estate deal pipeline. All it requires is gas in your car, and a pen and paper or post-it notes. To drive for dollars, simply drive through neighborhoods looking for potential houses that appear in need of repair. The most effective way to build trust and establish a relationship with the homeowner is to knock on their door, right there and then. It is something most of your competition won’t do, and immediately gets you a leg up over all of the other people who are trying to market to them. You can leave a post-it note or hand-written note taped to a visible place. Or you can put them in your CRM of choice, and start them on a YellowLetter campaign. Keep a notebook of properties where you left notes, and keep track of them over time, revisiting the properties on a schedule, and leaving additional notes. When you identify the property in the app by taking a picture or selecting from a map, and it will trace the address for property owner’s information, and, in the case of DealMachineApp, even mail a postcard to them on your behalf for a fee. You’ve seen these “We Buy Houses” signs on corners everywhere, and whether you think they are awful or fair game; they are low-cost and still effective. Before you start: Hang these signs at your own risk. Cities generally don’t like them so you should check the city ordinances first for laws and restrictions, and see if they apply to you. TIP: Don’t use your personal or work phone for your signs. Get a free Google Voice number for this. There are a number of ways you can produce and hang your signs, depending on how much time or money you have. If you have a lot of time, poster board and marker works — and if city employees (or competitors!) take them down you’re not out a lot of money. More durable options are black plastic signs with yellow, or orange and yellow, lettering, sized 18×24 or so. You can try different variations of “I want your house” with a catch phrase like “in any condition” or “cash in hand” and so on. Try different combinations and see what gets the best response. If you want to automate your processes, try posting a “Help Wanted” ad to find people to hang the signs. Hand these folks a map of locations and have them take pictures of each sign so you know they were posted and where they were posted. Posting in major intersections is usually wasteful or dangerous as these are first to be seen. Ideally, try to post directly outside local city limits or in unincorporated areas. Avoid weekdays when city employees are on the clock. Hang signs Saturday morning and remove them Sunday afternoon. Post as high up as possible to maximize visibility and prevent competitor’s takedowns. Many businesses that cater to the local community have bulletin boards for the benefit of their customers. These include stores such as laundromats, mailbox stores, and copiers. Walk around placing your one page “We Buy Houses” flyers on bulletin boards at these businesses in your target area. Place your flyers on cars in large parking lots. Think about where your customers might be shopping, eating, or getting entertained, and go visit the parking lots of those businesses. These might include dollar stores, Walmarts, thrift stores, and other establishments catering to your audience. Again, to maximize your results, you could hire a team to get your flyers out. You’ll find every type of real estate investor you can think of at real estate investment clubs, groups, masterminds, and conferences all around the country. Investor friendly realtors, real estate wholesalers, hard money lenders, contractors, title companies, and other real estate investors just like you. Pass your business card along to everyone you meet letting them know you’re looking for properties. You can find these clubs either through your local chapter of a Real Estate Investment Association (REIA), For Investors By Investors (FIBI) club, or even local BiggerPockets clubs. Meetup.com is also a great source to find groups near you. Throughout a court case, it is commonly required for certain actions filed with the court to be published a number of times, for a specific period of time, in a widely read newspaper. Both the legal sections of regular newspapers or the classifieds area in a legal newspaper will have a special advertisement section for Notices, and Petitions and Hearings associated with probate hearings, tax sales, trustee’s sales, and so on. Probate sales are those involving the property of someone who has died. Probates can be profitable, but the laws involving them can be complicated, and many people have a hard time approaching surviving heirs because of the sensitive nature. How you approach these leads depends on what method you prefer: 1. you can attempt to purchase the property before the sale, or 2. wait until the sale has been announced and then attend the auction or private sale, and in some cases, the following overbid process. Note the deceased’s name, if there is a court case ID, and the name of the person who wishes to be Administrator or Executor/Executrix. In method two, look for a notice regarding the real property auction or private sale in the newspaper legal sections. If a person files for bankruptcy, they may be required by the Court to liquidate assets to pay creditors. There are two main types of bankruptcy: Chapter 7 and Chapter 13. The main difference between the two comes down to whether the person has debts discharged and does not have to pay creditors back, as with Chapter 7, or whether the debtor has to pay creditors back with a repayment plan, as with Chapter 13. A trustee, or person who oversees the case, is assigned in both cases; the trustee in Chapter 13 simply oversees the actions of the debtor, but the trustee in a Chapter 7 case actually holds real property trustee’s sales. These trustee sales are what you are looking for in the legal notices sections of newspapers. You can always reach out to divorcees in a Court case, however a gentle, indirect approach works better for people who are going through a difficult time emotionally. A better option may be to reach out to divorce attorneys named in the divorce notices, who you gain rapport with, that can refer clients to you. People holding a garage sale are sometimes getting ready for a major life event, such as downsizing or generally needing money. Stop by the sale or send a postcard asking how you can help. Estate sales usually, but not always, follow when a person in the residence has passed away or is going to assisted living care, and the estate is being liquidated to heirs or to pay creditors. However it could be any other major life event such as divorce or bankruptcy that create urgency to sell belongings to pay off debts or downsize. In some cases, estate sales indicate that the property the sale is being held at will be liquidated as well for a quick sale. Approach the person in charge of the event to find out if the property is being sold. These may be sellers who can’t afford to list their property with a realtor and may be motivated. Contact each one to see if they want a quick sale. Call all the For Rent listings you see in the paper and ask if they want to sell. Keep track of advertisements and note whether they appear month after month. A constantly vacant property is no winner for a landlord who may be fed up and willing to sell their property. All property owners owe tax to their city, county, or state on the real estate that they own. When that owner does not pay taxes for a certain period of time, the jurisdiction that they owe the taxes to will auction the property to recoup the costs. The period of time that the state will wait before seizing and auctioning off the property varies by state, but could be as long as five years. The owner must pay off any taxes, plus fines or administrative fees, in order to stop their property from going to the highest bidder. If you are looking to purchase a property from a tax deed auction, most cities and counties publish the date, location, and property to be auctioned in the newspaper. While many clouds (encumbrances, for example) on the title are released before the auction, many are not, such as Federal IRS liens. Run title before the sale to verify the liens on the property. The owner may still have the right to overturn an auction for a period of time after the sale, so you cannot start work on the property until that time period clears. Most title insurance companies will not offer title insurance until after the above time period. Mechanic Liens are filed at the county Recorder or Clerk’s office, usually by contractors — or subcontractors who weren’t paid by the contractors — in cases where the property owner did not pay for work performed. The property owner has a certain amount of time to pay the lien holder, and if not paid then may file suit and may win a judgment recorded against the property. This judgment is a legal claim to the property and must be paid and the lien released, otherwise the contractor can force a foreclosure of the property. Notices of Abatement are issued by the Code Enforcement offices and you will sometimes see these signs posted on properties with overgrown weed, rubbish, or other refuse. These properties are often vacant. You can look up Notices of Abatement at your local city/county Code Enforcement office. To locate the owner you can sift through the grantor/grantee index at the county Recorder’s office. Any attempt to ease blight and restore nuisance houses to the market will probably be welcomed by the inspectors that look at them every day; it doesn’t hurt to stop by the code enforcement offices and find out how you can help. The county or city Code Enforcement Office should have a list of these if you are interested in taking the property off their hands to offer as a gut rehab or selling as a lot. Contact the fire departments in your area to see if they have a list of fire-damaged homes that need remediation. Try putting out a “We Buy Houses” ad in traditional newspaper advertising, whether a local newspaper, a magazine that may appeal to your target audience, or PennySaver type booklets. These can be clothing, hats, t-shirts, pens, shopping bags and other that advertise “We Buy Houses.” Wear them proudly everywhere you go. These are inexpensive and effective. Purchase one for each side and then an additional and see if you can hire someone else to double the exposure. Keep in mind you might want to remove them when going to a seller’s house, as they may not want their neighbors to know the situation they are in. Have you ever looked at the back of your grocery store receipt and saw the local realtors and small businesses that advertise? You can put that to work for you as well. Costs are on per store basis, and some have minimum store requirements. Television can be one of the most expensive mediums to advertise on. Depending on the area you’re targeting, you can expect to pay between $200 to $2000 per 30 second local station spot, and much, much more for national exposure. There are many criteria that factor into cost, such as the time of year, whether the station you want to advertise on is broadcast or cable, and the number of spots available during that time slot. Factor in the cost to create the ad as well. Again, location is key, and radio spots can run from $500 to $5,000 dollars. Much of the breakdown of costs is divided into how popular the station you choose is, how long the spot will run, what time of day it runs, and whether you produce it yourself or have the station produce it for you. Fiverr.com is a great all-around website for finding people to do radio voice-overs, dubbing, and editing, in many languages, and for as little as five dollars. Billboards are typically out of range for many beginning businesses at $1000-$15,000, but not always depending on the size you choose, the type of fabric or vinyl it’s printed on, and the area. Generally, the larger the population of the city you’re targeting, the more expensive it is. Billboards typically run for 4 weeks, and you should keep in mind the cost to design the content. Vehicle wraps can be incredible marketing tools. Talk with your auto insurance carrier beforehand to make sure there are no issues with advertising your business on your personal vehicle. You now have 27 actionable methods that will get your leads flowing in, and the best part is you can start today. Whether you choose to get on the phone, knock on a door, or stuff mailings, you can add value to your business without ever getting online.